Browse fashionable men's suits and find the perfect look for that special event or occasion. 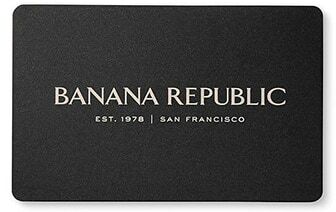 Shop men's suiting at Banana Republic and have the right apparel for life's unforgettable events. Whether you're attending the wedding of your close family members or friends, closing that big business deal that will take your career to the next level, or celebrating an anniversary with the love of your life, you'll want to look your best. Suits for men from this amazing collection are handsome, stylish and fit great. Turn heads when you enter the reception, restaurant or boardroom with these dashing designs. There's nothing quite like the feeling of confidence that comes from wearing an incredible new suit. Suiting for men from this collection at Banana Republic is created by inspired fashion designers. There's a nod to traditional style and a hint of artistic passion in each one of these fantastic garments. Choose from a debonair black suit, a dashing navy blue suit, grey suits, camel suits, tuxedos and more. You'll have no trouble finding an outfit that will help you look and feel sophisticated and self-assured in this line of suits. Browse a range of trousers and blazers, and find the perfect combination for your individual personality. In this selection, you'll find men's suit styles for every event, occasion, and attitude. Suits from this collection are quality garments that are made using high-quality fabric and expert tailoring. You'll appreciate the smart design, durable materials and attention to detail that goes into every last stitch on these exceptional garments. Jackets and dress pants from this line are dependable apparel that won't let you down, from a hectic dash for the morning train to cutting a rug on the dance floor with friends and family. With this men's dress clothing, you'll have a chic outfit that will last for years. Pose for those important pictures, support a budding family, and toast to the love of your life in these fabulous suits. At Banana Republic, you'll find some the the best suits for men on the market today.